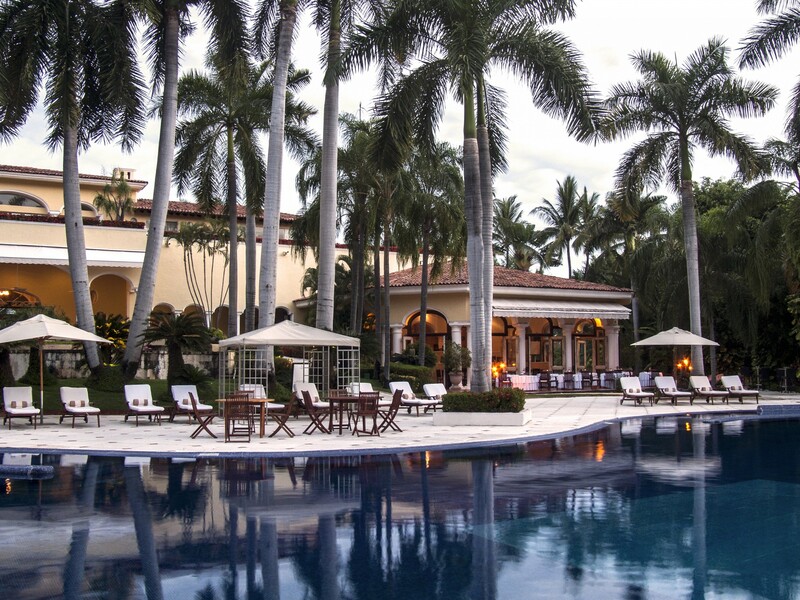 When a friend and I were invited to experience Casa Velas, we were expecting just another nice Puerto Vallarta hotel. We had both visited the area numerous times, but were unfamiliar with this 80-suite boutique hotel. Upon our arrival we were escorted to comfortable sofas and offered a refreshing glass of a cold herbal tea and fruit mixture and shoulder massage to relax us after our flight. Attractive woven bracelets were placed on our wrists, so hotel staff would know we were guests. After we enjoyed our warm welcome, we were escorted to our lovely suites, each of which had a private Jacuzzi. 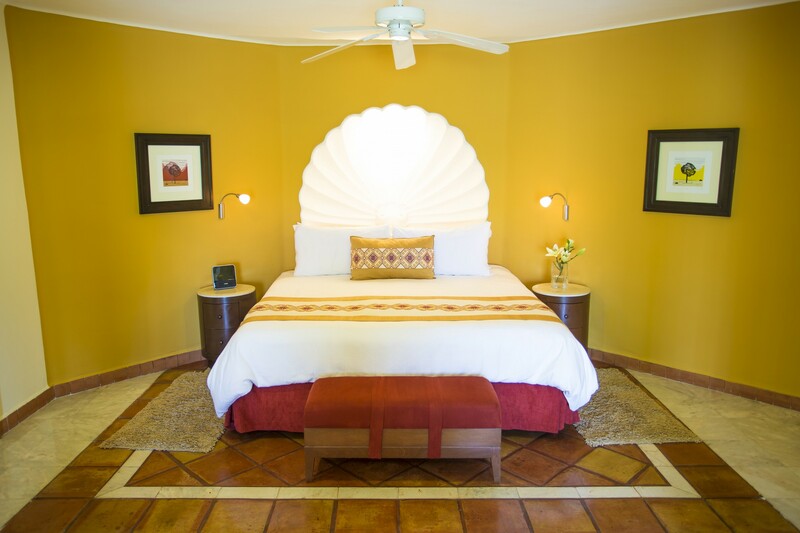 Casa Velas hotel and ocean club is an adults-only property and encompasses the feeling of a Spanish hacienda. 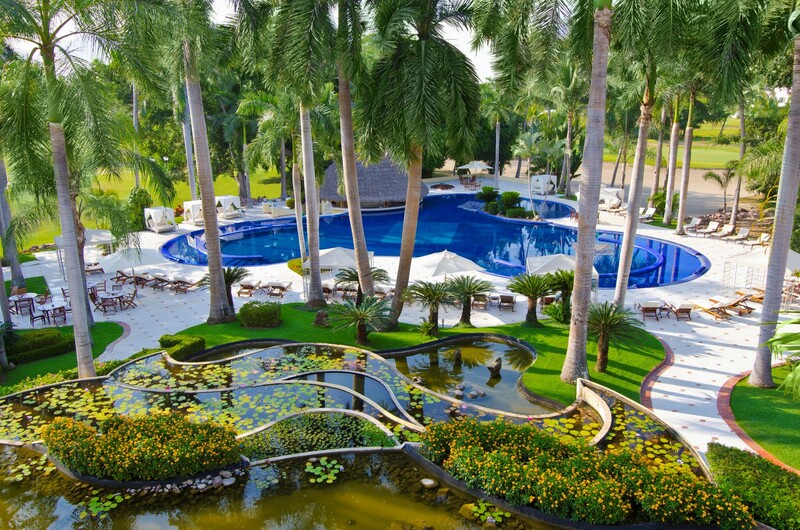 It is tucked away on the edge of the greens of Marina Vallarta’s 18-hole golf course. It is not a beachfront property, but features a private ocean club which is just minutes away for beach lovers. We took advantage of the magnificent pool, which was huge and inviting. 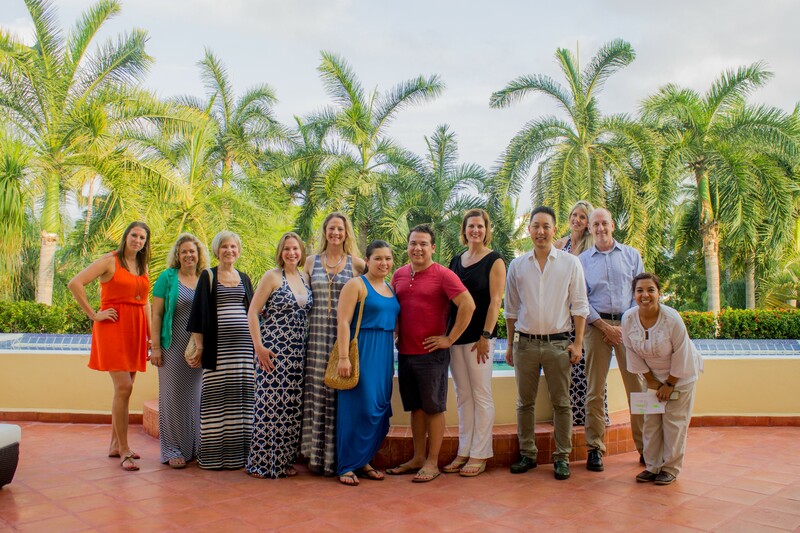 As the property is all-inclusive for food and drinks, our group thoroughly enjoyed drinks in the pool, after dinner drinks, a special tequila tasting and numerous other activities. One of our fun experiences was the handbag bar. Guest may use a “loaner” designer handbag for the evening– and just return it the next morning. Emiliano is the AAA Four Diamond rated a la carte fine dining restaurant, which is under the leadership of one of the area’s leading chefs. It serves Mexican and international cuisine. 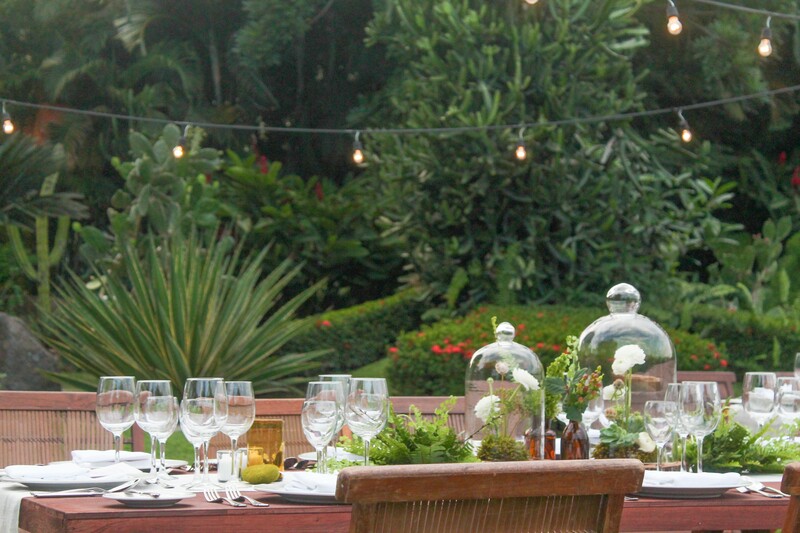 However, guests also have the option of dining at Grand Velas Riviera Nayarit, with three gourmet specialty options. 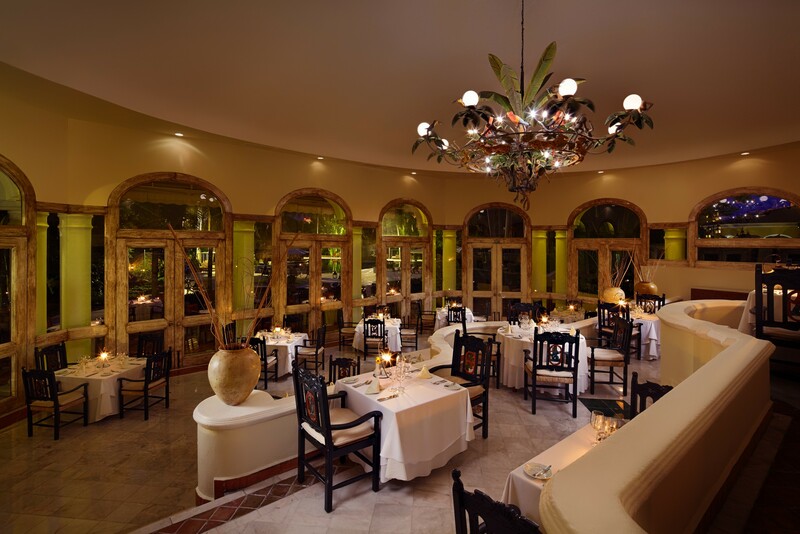 We dined one evening at the Grand Velas and enjoyed Emiliano’s for breakfast, lunch and dinner, all of which were delicious. What we found especially nice was that the chefs from the different restaurants rotate through the various resort kitchens, as there is also the Velas Vallarta. 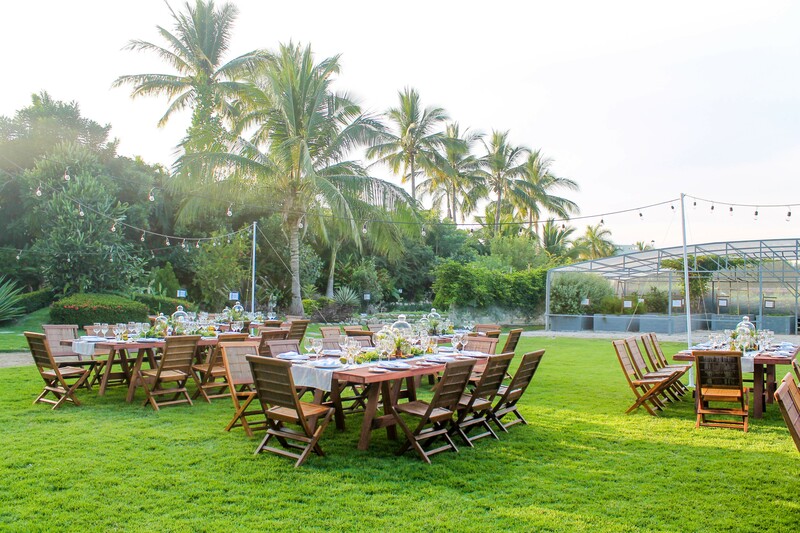 That means if you simply want to enjoy the wonderful quiet environment of the Casa Velas, you will still be able to experience different menus and chefs. One evening we enjoyed dinner at the Ocean Club and that was simply beautiful and serene. During the day, the pool kept calling us and we took advantage of it. However, we also made time to take in the spa services and hydrotherapy area. The fitness center is equipped with state-of-the-art exercise equipment, but it called my guest more than it called me. I just focused on relaxing. A walk through the beautiful gardens was worthwhile, and it’s easy to see why it is the setting for so many special events. The staff grows many of their own vegetables and herbs. They are all labeled, which makes it more interesting. 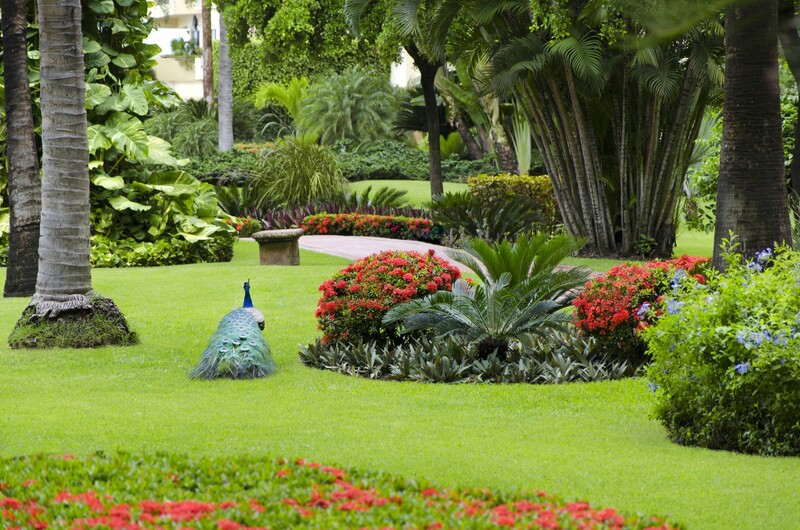 We were fortunate to visit the other Puerto Vallarta Velas Resorts while we were staying at Casa Velas. The others were much larger; all were outstanding with an emphasis on service, design and premier locations. Each had a completely different personality, each offered unique experiences, and I could easily have written about what was special about each. I was thrilled we were at Casa Velas. I do not unwind and relax easily and this was exactly what I needed. 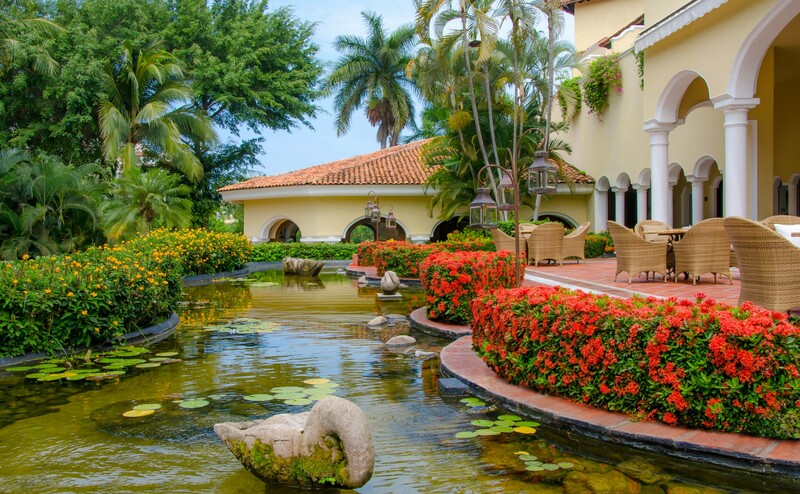 Simply five minutes from Puerto Vallarta Airport and fifteen minutes from the downtown area and art galleries, you have a private haven. 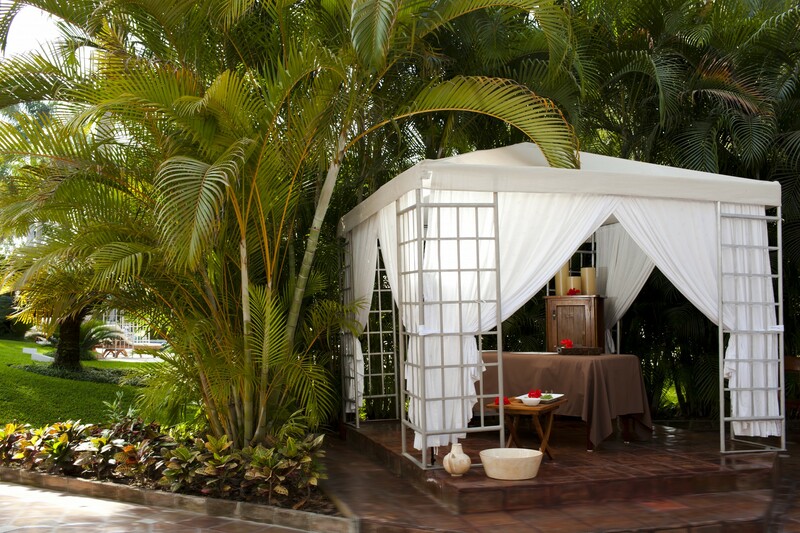 A little more about Velas Resorts in Mexico. Eduardo Vela, the majority owner, founder and president of Velas Resorts in Mexico, is a story of hard work, determination, a knack for seizing opportunity and a commitment to excellence. He began his business career with a hot dog cart and within a short time, sold at a 300% return on his initial investment. A lawyer by profession, he began to litigate at 21. In 1991, he moved into the hotel business with his first property, Velas Vallarta Suite Resort & Convention Center in Puerto Vallarta. In no time, the property earned the Four Diamond award. Vela then went on to create the Grand Velas Riviera Nayarit with a different concept: the first true luxury all-inclusive. Grand Velas opened its doors on the 21st of November, 2002. Accepted into the prestigious Leading Hotels of the World in a record three years time, it also earned the prestigious AAA Five Diamond award, and was recognized by Condé Nast as the best hotel in Latin America. 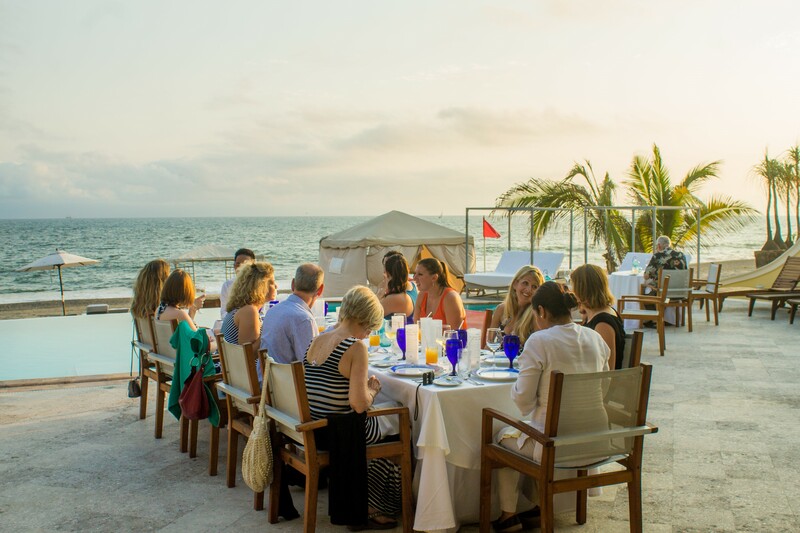 Offering unparalleled all-inclusive experiences, the four Velas Resorts in Riviera Maya, Puerto Vallarta and Riviera Nayarit have earned more than forty-three AAA Diamonds, including the prestigious Five Diamond Award. Other esteemed international awards for their services and facilities include Virtuoso’s “Best Spa”, Condé Nast Johansens’ “Most Excellent Resort” and “Most Excellent Spa Hotel” and American Academy of Hospitality Sciences’ 5 Star Diamond Award. 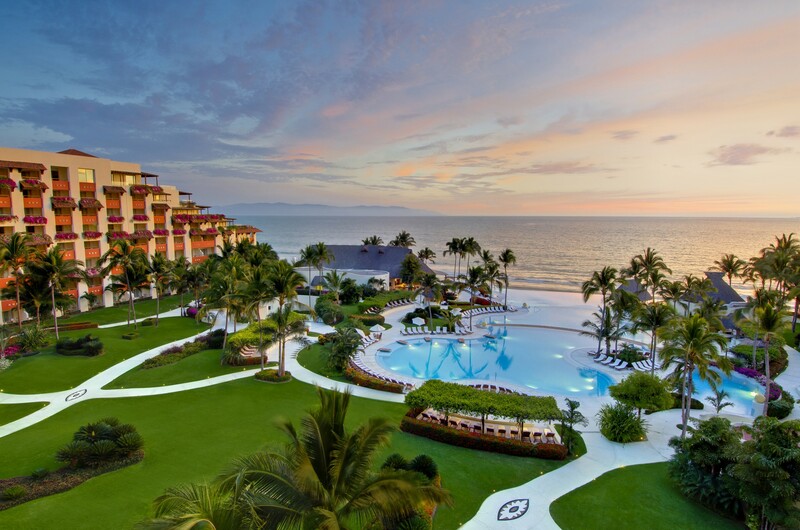 Velas Resorts feature spacious accommodations, renowned spas, a unique culinary experience at a selection of restaurants, 24-hour in-suite service, fitness centers, butler service, state-of-the-art conference centers, extensive family programs, fully stocked mini bar and more. Velas has just opened a property in Los Cabos and I am sure there are more properties on the horizon. Usually, I do not focus so much on the history of a hotel group. However, since Velas Resorts Mexico is such a young successful group I see moving forward, I felt our readers would be interested in its background. If you have experienced any of these properties, we would enjoy hearing your feedback.